The $2.6 billion project is scheduled for completion in 2022, but work began in the summer to eliminate grade crossings at Urban Avenue and School Street in New Cassel. 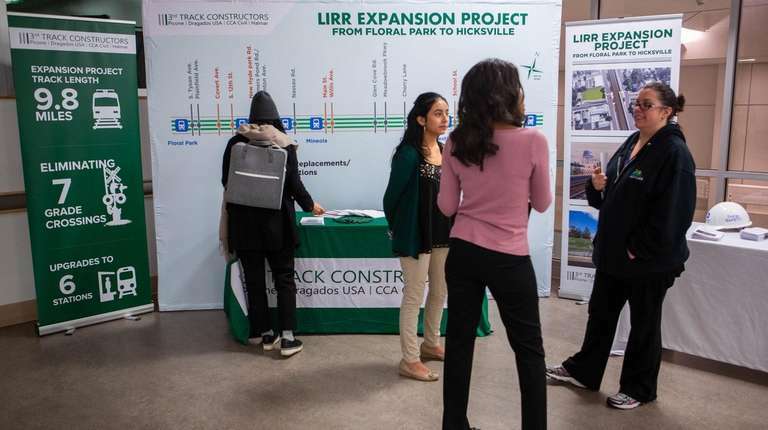 As construction on the Long Island Rail Road’s expansion project draws closer, New Cassel and Westbury residents had a chance Monday night to learn more about how their communities will be affected. At New Cassel's “Yes We Can” Community Center, about a dozen residents viewed presentation cards outlining planned work, project timetables, and road detours. William Miller, a community outreach manager for the project, said the session is among many meetings that have been held across impacted Long Island communities and consistent outreach was a major goal for the team. Monday night also included the introduction of multiple community ambassadors representing North Hempstead Town, Mineola, Westbury and Carle Place. Gary Lewi, a community ambassador and former Hempstead Town spokesman, said his role is to ensure the community is informed about the work ahead and answer any questions from residents and business owners. Despite handing out hundreds of flyers in English, Spanish and Creole, he acknowledged turnout for the session was low. The $2.6 billion LIRR Expansion Project will build a third track for its Main Line in Nassau County. Additional planned work includes bridge replacements, station renovations, and grade crossing eliminations. The project is scheduled to be completed in 2022. Pre-construction work to eliminate the LIRR grade crossings at Urban Avenue and School Street in New Cassel began earlier this summer. LIRR officials have previously told Newsday the work will reduce traffic congestion. Other high-priority projects are also planned within North Hempstead Town, such as renovating the Mineola and Carle Place stations, and building two parking garages in Westbury. Gennie Vann, of Westbury, said the proposed work in the area sounded “excellent” and improvements would invite more visitors. “It gives a small community like this the opportunity to expand and will probably be better at bringing in customers,” Vann said. Others said they had heard little about the project and outreach efforts should be increased. Town Councilwoman Viviana Russell said that for most residents in attendance Monday night, the information presented was new. However, Russell added that she'd been getting feedback from the community, such as their concerns about parking once full construction begins and Urban Avenue is temporarily closed. 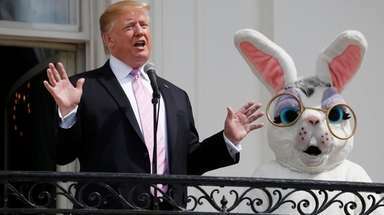 "There still seems to be a disconnect with the community," she added. Construction in New Cassel is expected to begin in winter 2019.